Canadians hankering for a breakfast sandwich in the evening will soon be able to satisfy that craving at most McDonald's and A&W restaurants later next month, as the fast-food chains concede to growing consumer demand to have their signature morning staples served throughout the day. On Feb. 21, McDonald's Canada will start serving breakfast beyond its usual cut-off time of 11 a.m. at 1,100 of its 1,450 restaurants. And then less than a week later, A&W Food Services of Canada will launch its all-day breakfast program on Feb. 27. It expects 95 per cent of its 879 stores to make the transition by spring. Serving up pancakes, eggs and hash browns is a growing market in Canada, according to Robert Carter, executive director of food service for market research firm NPD Group. According to NPD data, 1.24 billion of the 6.5 billion visits made to Canadian restaurants between December 2015 and November 2016 took place during breakfast. That's an increase of 6.3 per cent compared to the same time period over previous years, one that came at the expense of traffic during other meal times, especially dinner. During that same time period, NPD also observed that Canadians consumed nearly 536 million breakfast sandwiches — up nearly 49 million compared to previous years. "When you look at where the growth in the marketplace has come from for the quick-service segment, it's all about the breakfast day part," said Carter, explaining that the generation born after 1980 tends to opt for a convenient take-away breakfast over making the meal at home. McDonald's Canada CEO John Betts said the company has been experimenting with extended breakfast hours for a little over a year at its two stand alone McCafe locations in Toronto, as well as various restaurants throughout the Greater Toronto Area, Vancouver and Montreal since the latter half of 2016. In early January, McDonald's announced the arrival of all-day breakfast at 17 of its restaurants in Ontario, Quebec and British Columbia. "Folks are looking for and have been looking for this kind of offering for the longest time," said Betts, estimating the company received thousands of tweets last year requesting the option. "We know we're going to do well with it." A&W also tested the all-day breakfast option at 40 of its restaurants early last year and said it received a tremendous response, especially from millennials. People have different schedules and traditions around when people eat have changed over the years, said Susan Senecal, president and chief operating officer. McDonald's and A&W aren't the first major fast-food players to offer all-day breakfasts nationwide. Starbucks Canada, for example, has offered breakfast during all its regular store hours in Canada since 2008. Company spokeswoman Madeleine Lowenborg-Frick said in an email that the coffee chain introduced the service to meet its customers' needs throughout the whole day. Not everyone, however, is convinced breakfast hours need to be any longer. Burger King and Tim Hortons both stop serving breakfast mid-day and the chains' parent company Restaurant Brands International has no plans to change that. The company is focusing on other priorities, like expanding its lunch and coffee segments at Tim Hortons, said RBI's chief executive officer Daniel Schwartz in an interview before the companies announced their national roll-out plans. "We don't shift our agenda based on what our competitors are doing," he said, adding he's unaware of any consumer demand for lengthened breakfast hours at RBI's two chains. Both A&W and McDonald's will offer a limited menu for the extended breakfast hours. 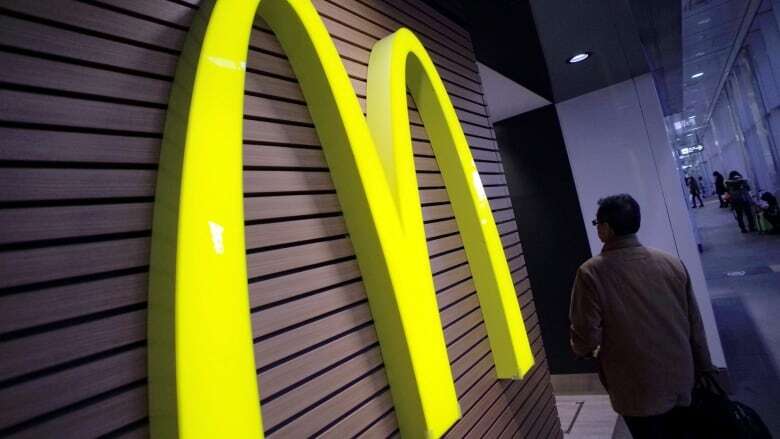 McDonald's will serve McMuffin sandwiches and hash browns, as well as hotcakes and sausages — though Betts said customer demand may drive additional menu items to be available in the future. A&W customers will be able to purchase its Egger sandwiches and wrap, as well as hash browns.